Our catering company offers full service catering, and coordination of the aspects related to food and beverage service at your event! From the tables and chairs to cutting the cake, let us help take the stress out of planning your event! We are ready to help you create a memorable event. Our focus is on personalizing each event to fit our clients’ needs. Traditions will do as much or as little as desired. Our job is to make the job of planning your event easier. Traditions is located at three different golf course venues in the Hampton Roads area, which are all different in atmosphere and aesthetically. 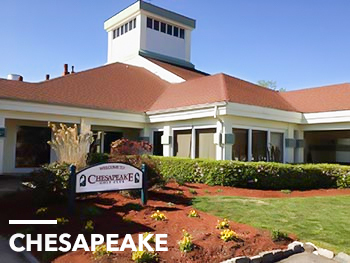 Our Chesapeake Golf Club venue has two separate spaces to offer, an elegant ballroom space for 100 to 160 guests, along with another banquet room that is perfect for up to 100 guests. To learn more about weddings at these three locations search the Weddings page! Menu Planning: Traditions has three distinct levels of cuisine to choose from, or we can create any menu to cater to your personal needs. Alcohol/Bar Coordination- Traditions is fully licensed and cannot allow outside alcohol. A full selection of liquor, beer, and wine is available by request at each event for guests to purchase at time of order with cash or credit card. Clients may also chose to host the bar to predetermined amount and offer full or pre-selected options for guest to choose from. Clients may also choose to pre-purchase kegs, wine, or champagne through Traditions for their event. A bartender fee of $90 is applicable for standard events. Inclusions: Linens, Silverware, Flatware, Glassware, Tables, Chairs, Serving Supplies, Bar Supplies/mixers, Dance Floor, Coat Racks, Podium, and easels available for all events at no additional charge. Music: Live Music, DJs, Karaoke, Slide Shows, Photo-Booths, and Lighting Options available directly through Traditions. Our clients are welcome to provide their own approved DJ/Entertainment in the form of a licensed professional with proof of insurance on file. Staffing/Event Management: We will make your event is as effortless as possible by providing the most experienced and professionally trained event managers, wait staff, bartenders and chefs. Event Types: Cocktail Parties, Plated, Family Style, and Buffet Dinners, Family Gatherings, Wine Tastings, Weddings, Showers, Birthday Parties, Corporate Gatherings/Meetings, and Holiday Events are all welcome at Traditions. We also host fundraisers and will honor tax exemptions with correct paperwork on file. Because each event is as unique as the person envisioning it, our job is to ask specific questions, to listen and learn about our clients’ ideas, likes, dislikes and budgetary parameters. Only after this process is complete, do we begin to implement the details, compose the menu, visualize the décor, and finally bring the concept into a realty. Using our creativity, culinary expertise, exceptional planning skills and years of experience, Traditions Catering works together with our clients to conceive events that best fit their individual visions and needs. Our goal as caterers is not to sell a client an event we’ve already designed but to design one that reflects their individuality. Traditions caters to many local area venues who do not offer in house catering, and we can help to provide catering to locations off the beaten path as well, so whether your event is in a field, at your office, or in your own home, Traditions can help! All menu items may be utilized for full-service, delivery, or pick-up (No service charge for pick-up orders). A week notice is necessary for all delivery or pickup orders and at least 2 weeks for a full service event. Please make us aware of any special delivery instructions and appropriate time of delivery or pick-ups. Must be a minimum delivery of $300.00 before taxes and delivery charge. Service is available at a rate of $50 for 1st 3 hours and $20.00 per hour each additional hour per server. This includes all bar and kitchen staff needed for the event. All buffet/beverage service tables will be provided by event venue/client for use by Traditions during event. Traditions will supply all full-service events linen for these tables. Traditions will supply silver chafing dishes and sternos with silver service utensils for full service events at no additional charge. Traditions can assist in all coordination and contracting of items associated to food and beverage service for your full-service event! Start by hiring Traditions to cater and watch the rest come together. This includes all tables, chairs, tents, china, glassware, linen, bar service, décor, entertainment etc. Our time in the industry, and partnerships with other vendors, allow us to help pull your event together, whether in the park or the museum. Traditions’ goal is giving our clients peace of mind knowing everything is being taken care of, and their event will be what they envisioned from the start! We allow our clients to be involved as much or as little as they would like – we offer pickup, drop-off, delivery and setup, along with full-service options for any event!